I'm slowly but surely making my way through my new fall collection haul. I'm new to this, so it's taking me some time to get through the swatching and learning about the wonderful world of lighting while taking pictures. I'm learning a lot, and I think I'm improving so yay! 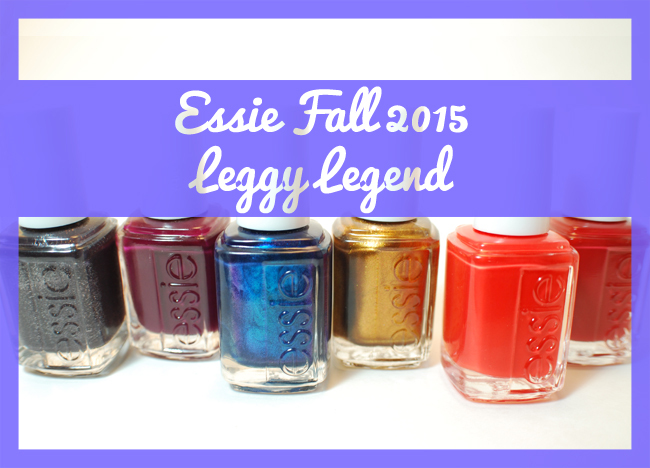 Okay, so today, I have Essie's newest fall collection called Leggy Legend, and I love it! The collection was inspired by 70's rock, as you'll see from the names of the polishes. It's a diverse collection with some great colors. So, let's get started! First up, we have the color for which the collection was named, Leggy Legend. This is just a warm, yummy bronze color perfect for fall. 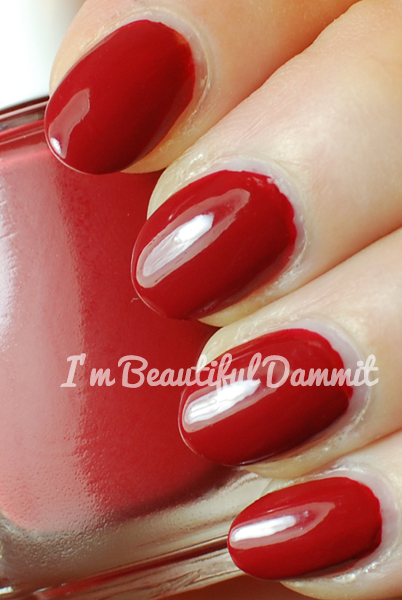 It is chock full of shimmer, and I was surprised how much I liked it on the nail. It looked so pretty in the bottle, but I wasn't sure about how much I would actually wear it, and I have to say, it is gorgeous! I used two coats for the photo here. With the Band is a brick red creme. Pretty standard color for fall. This is just the kind of color that I love to wear when I'm done with my Halloween nail art, and getting ready for Thanksgiving. This is a really pretty color. The formula here is very easy to work with, but just make sure you use a coat base coat, because this one is a stainer. I used two coats here. As this is a pretrty standard color for fall, I knew I had something pretty similar in my stash. 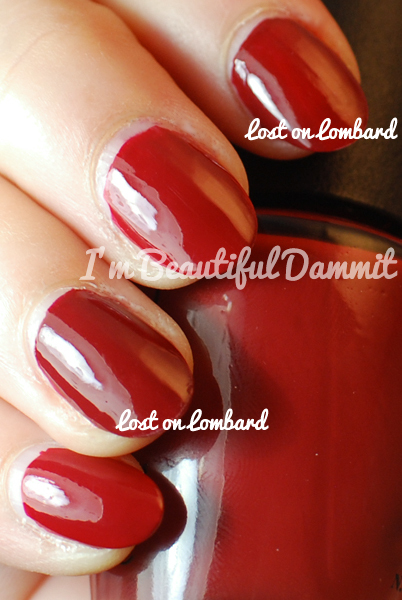 Here it is next to OPI's Lost on Lombard. I think it's a much better formula than Lost, but it's pretty similar. On the nail, sometimes it's hard to tell the difference between the two, but in the pictures, you can see that Lost is just slightly darker. In most lights, they're nearly identical. Honestly, in person, the only way I could tell the difference was because Lost on Lombard had a patchier application than With the Band. Frock n' Roll is an almost eggplant/charcoal mix with some glass flecks. It's got a little brown to it, too, in certain light, so it's really hard to accurately describe the color, but it's not like anything else I have in my collection. It's really pretty on the nail. I had a hard time photographing this one, so sorry if I didn't quite capture the flecks, but I promise I'll get better. The formula was great! I would say that it's a one coater, but I used two here. 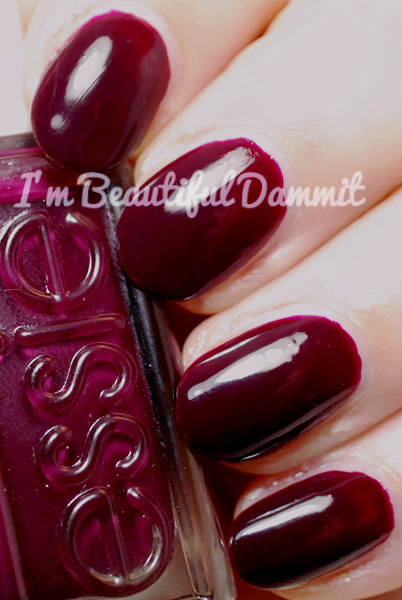 In the Lobby is a dark cranberry/oxblood polish. It's really gorgeous, but my least favorite of the bunch because of the formula. It looks very pretty, but now looking at the photos I can see some patchiness after two coats. Also, when I went over it with my usual top coat, it dragged some of the color a little. For comparison, I have OPI's In the Cable Carpool Lane. Oddly enough, as patchy as In the Lobby was, OPI's offering was even worse. 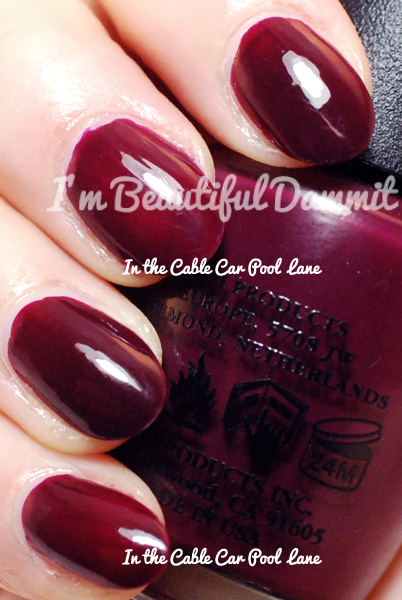 No dupe here as you can see, In the Cable Carpool Lane is a lighter shade. Bell-Bottom Blues is another really beautiful polish in this collection. 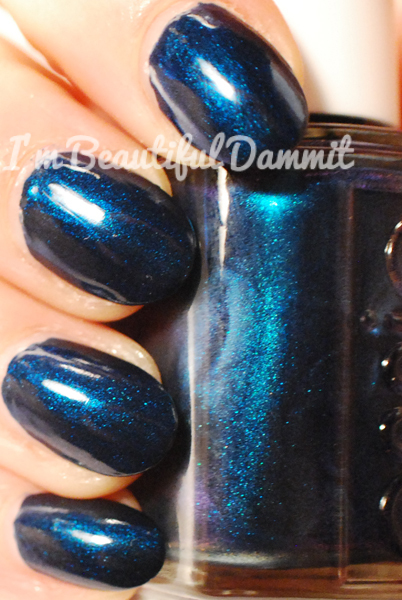 It is a deep blue with a sort of teal shimmer polish that really shines! I loved this in the bottle, and on the nail. This is another that could be a one coater as it has a great formula and easy application, but I used two here. This was a close second to Leggy Legend for me. I love it! Last, we have Color Binge. This is an orange creme. Here, you can see, it dried a little darker on the nail than it look in the bottle. This had a nice formula as well. Two coats were used here. Overall, I loved this collection. It's everything I wanted in a fall collection. I love that it has diverse shades, and it's definitely not boring. I especially love the metallic/shimmer polishes of the collection. I don't have anything close to what is offered here, so I'm glad to add them to my ever-growing stash.